"The system itself presents a risk to most of our facilities in Europe and we believe that the Russians have deliberately deployed it in order to pose a threat to NATO and to facilities within the NATO area of responsibility," Selva said during a House Armed Services Committee hearing. He did not say if the missile carried a nuclear weapon. Selva said the United States had brought up the issue with Russia. He did not say what options were being considered if the discussions did not lead to results, but added that "we have been asked to incorporate a set of options into the nuclear posture review." In an interview with Reuters last month, Trump said he would raise the issue of the deployment with Russian President Vladimir Putin "if and when we meet." Russia accused Washington of conducting "megaphone diplomacy" after the accusation was repeated by the State Department in 2015. Moscow also denied it had violated the treaty, which helped end the Cold War. Questions have been raised about U.S. commitment to another nuclear weapons deal, the NEW START agreement, which caps U.S. and Russian deployment of nuclear warheads after Reuters reported that Trump told Putin it was a bad deal for the United States. "I have stated for the record in the past, now I'll state again that I am a big supporter of the NEW START agreement," said General John Hyten, the head of U.S. Strategic Command. 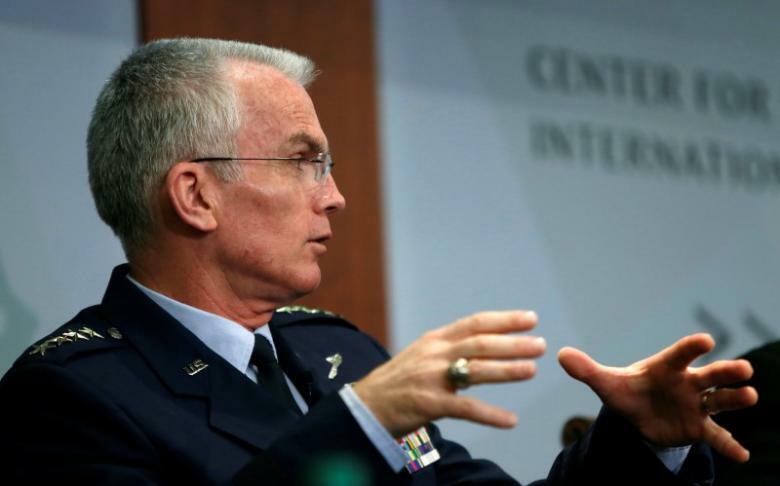 "The risk would be an arms race, we are not in an arms race now," Hyten said.